In the design of ‘new generation’ elevator control valves, by means of inverters, energy consumption is optimized further by modifying the rated speed according to the car load. In this way the entire ride quality of the travel is assured by supplying only the necessary flow rate to the valve by regulating the motor speed by means of an inverter. As a result, less amount of energy is consumed during up travel, which increases the efficiency of the system and also reduces oil heating. Using the inverter also reduces motor starting current and the size of the electric meter. In addition, it is the most suitable solution for household applications where drawing of high starting current is often not possible. There can be many ways to engage a valve with an inverter to obtain a new-generation valve. The most important question is how to satisfy inexpensive and simple solution with good ride quality. 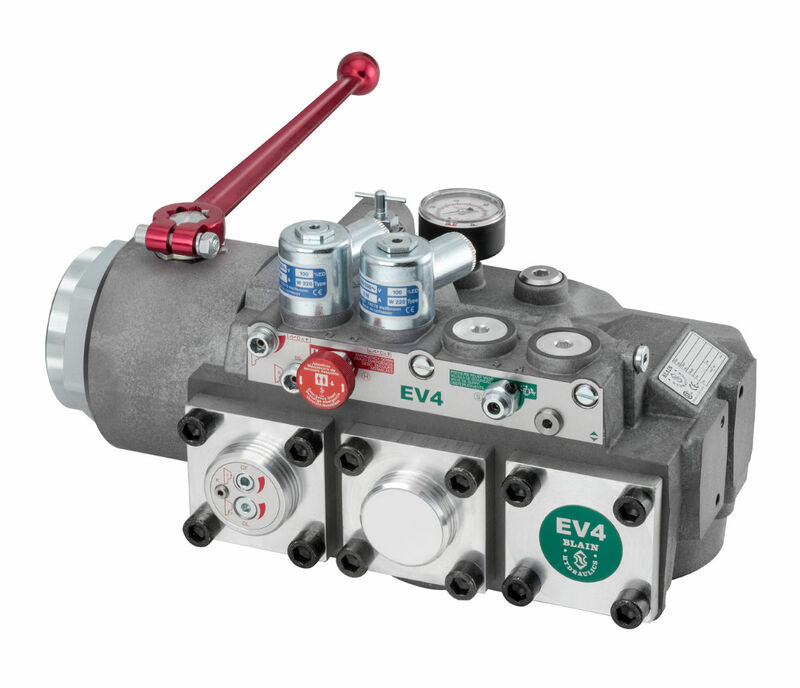 Knowing the market needs and evaluating truly necessary requirements from the control valve on mid- and high-usage applications, Blain Hydraulics has developed EV4, the new-generation control valve, which satisfies the excellent ride-quality, low-cost and high level of compatibility with all power units and elevator controllers. 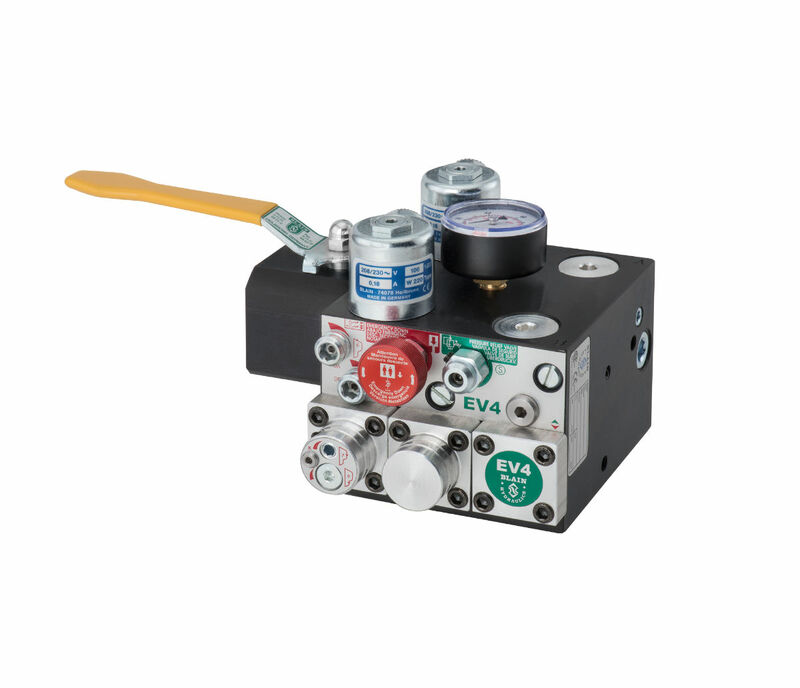 Blain’s EV4 is an electro-mechanical valve, utilizing the properties of the inverter to remove all unnecessary components in order to simplify and lower the cost of the system. V1000 Yaskawa inverter was chosen for the application, which has superior open loop control, low stand-by energy consumption, high reliability and long service life. Behind the success of the product there is an excellent collaboration between Blain Hydraulics and Yaskawa Europe. The new-generation EV4 valve is a simplified version of Blain’s EV100 electro-mechanical valve, which inherently offers the same advantageous properties of electro-mechanical valves, such as high reliability, easy adjustments, low maintenance and low-cost. 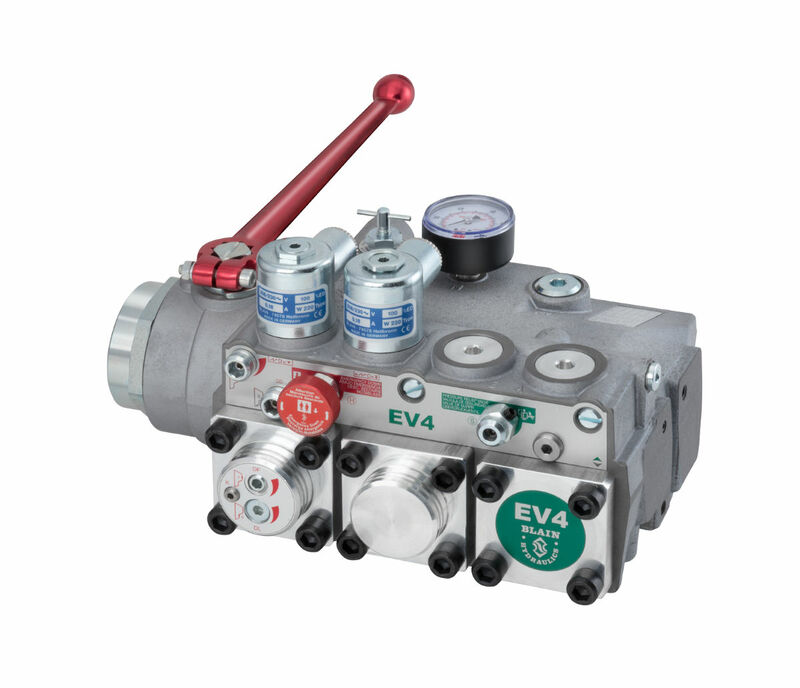 EV4 was designed to allow Yaskawa inverter to take control of the complete speed regulation of the up travel whereas, down travel is managed mechanically by the valve. This solution ideally covers up 80% of the hydraulic elevator applications, where elevator usages are from low to mid frequencies. In fact, the problem has been wrongly realized by many manufacturers and in most cases an inverter was integrated into the existing systems which caused more parts to be included and many interfacings between the inverter, valve and the control board were introduced for the sake of having good ride quality both in up and down directions. Such implementations then resulted in impractical, expensive and non-compatible solutions that requires high level of technical knowledge to maintain. In terms of energy-efficiency and initial investment, application of such systems may only be justified for very high-usage lifts (over 700 cycles/day). On the contrary, EV4 has no interfaces with its peripheral devices and does not require any sensoric for load compensation. Since up travel is controlled by the Yaskawa inverter, up solenoids and adjustments were removed from the valve and by-pass transition stage was cancelled, which simplified both the valve and the system set-up considerably. To lower the initial cost and simplify the system requirements further, superior open-loop control of Yaskawa inverter has been implemented. Thus, the need for a costly submersible encoder was eliminated. The real supremacy of the system comes from the exclusive inverter software, which eases the use of the system and provides excellent travel characteristics. The software was designed to sense the load condition to allow necessary compensation for the motor output. The software is also intelligent enough to modify transition times, when necessary, to assure good ride quality. Moreover, Yaskawa inverter can be optionally used for the down travel to control down speed and to improve ride-quality without needing any modification on the EV4 valve. In order to allow accurate load compensation and also to account for the effects of oil temperature variation an inexpensive temperature sensor is also included in the system. The complete solution is inexpensive and can be easily applied to all hydraulic lifts, basically by adding the EV4 valve and Yaskawa inverter to the existing system. Therefore, the EV4 solution is also very convenient and practical for renovations without replacing the power unit or the elevator controller. EV4 inverter software has also been armed with “Constant Speed Mode”, where the lift speed is kept constant, and “Energy Saving Mode”, where the speed of the car is lowered according to the load in the car. This also allows smaller motor sizes to be used in elevator applications and may lead to lower energy consumption. In addition, EV4 valve contains Blain Hydraulics’ latest development of GREEN 60 solenoid coils, which reduces energy consumption and increases the efficiency of the valve, and offers supply voltage flexibility to the user. EV4 solution perfectly compensates pump leakage against variation of load and oil temperature, which may cause ride quality and the total travel time of the lift to vary drastically. The results of excellent and constant ride quality is shown below under different load and oil temperatures.